Honeywell thermostat control is a native Assistant function, so you don't need to preface your commands with "Talk to Honeywell" or anything like that. Just say "Set the thermostat to [x]" and Assistant will relay your command to the Honeywell service. Nest is a native function as well, but you probably don't have both in your house. To use your Honeywell thermostat with Assistant, you'll first need to connect your account. Honeywell integration is already live in the Assistant UI, but I'm only seeing the Total Connect Comfort as a login option right now. Presumably, the Lyric will show up soon. Assistant is just the latest smart home integration for Honeywell: its products already work with Amazon Alexa, Apple HomeKit, Samsung SmartThings, and IFTTT. 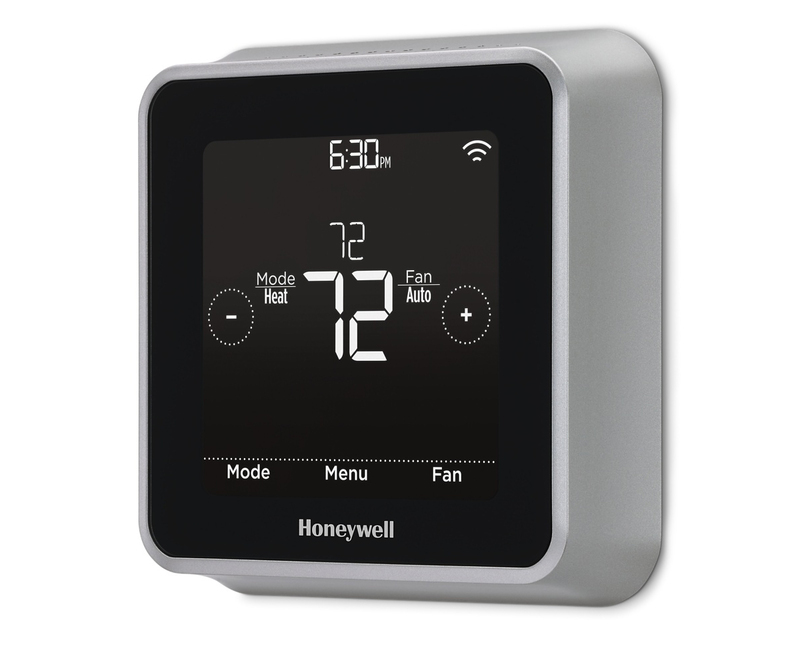 ATLANTA, Aug. 2, 2017 /PRNewswire/ -- Honeywell (NYSE: HON), a leader in Connected Home solutions, continues to grow its ecosystem of products and services by adding a new integration with Google Home. Now, consumers who own a Google Home can use a few simple words, like "OK, Google …" to adjust their home's temperature and comfort with a Lyric™ thermostat (Lyric Round, Lyric T5, Lyric T6 Pro) or Total Connect Comfort (Wi-Fi and RedLINK™) thermostat. Google Home is the latest in Honeywell's Works With Honeywell program, which includes one of the most robust integrations with other smart home products and services available, such as Amazon Alexa, Apple HomeKit, Samsung SmartThings, IFTTT and more. 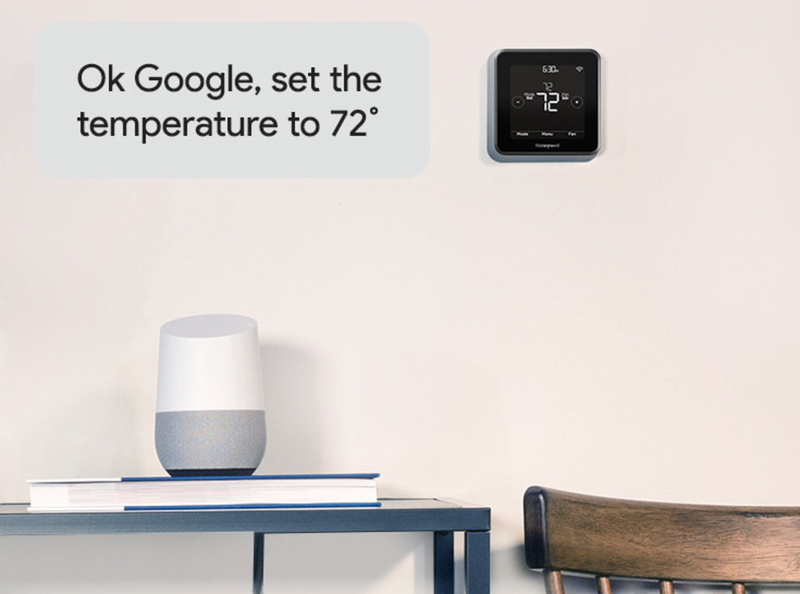 In addition to Google Home voice control, consumers can control their Honeywell thermostats with Google Assistant on Google/Android devices, using a number of different commands. If a home has multiple heating or cooling zones, it is possible to control them independently by informing Google Home which thermostat corresponds to a specific zone. Consumers can also continue to adjust the temperature, set up schedules or make other changes with Honeywell's Lyric or Total Connect Comfort (TCC) app, and directly on the thermostat interface. Honeywell knows a smart, connected home must not only be safe and secure, but also comfortable. This is why Honeywell continues to collaborate with more than 200 companies in the smart home space via the Works With Honeywell program of integrations and partnerships. Works With Honeywell helps by providing customers with more flexibility to add into and personalize their homes with a wide collection of the best connected products and services, from comfort and control to savings and safety. "Honeywell technology is already found in more than 150 million homes worldwide," said Scott Harkins, vice president, IoT partner programs, Honeywell Connected Home. "Now with our Google Home integration, we're thrilled to have the first thermostats integrated with every major smart hub. It is another way we are helping consumers more easily bring smart technology into their homes and lives, regardless of how they want to get started, their home's unique needs or which smart hub they have."